This article which was written by Robin Ngo appeared in the online edition of Bible History Daily on 14 September 2016. A 1,500-year-old mosaic that might depict a meeting between Alexander the Great and the Jewish high priest has been unveiled in full byNational Geographic. The mosaic was unearthed during excavations of a fifth-century C.E. synagogue at Huqoq, a site in Israel’s Lower Galilee. Led by Jodi Magness, the Kenan Distinguished Professor for Teaching Excellence in Early Judaism at the University of North Carolina at Chapel Hill, the Huqoq excavations have each year revealed vibrant mosaic floors depicting a variety of scenes, from the exploits of the Biblical hero Samson to the Exodus and Noah’s Ark. 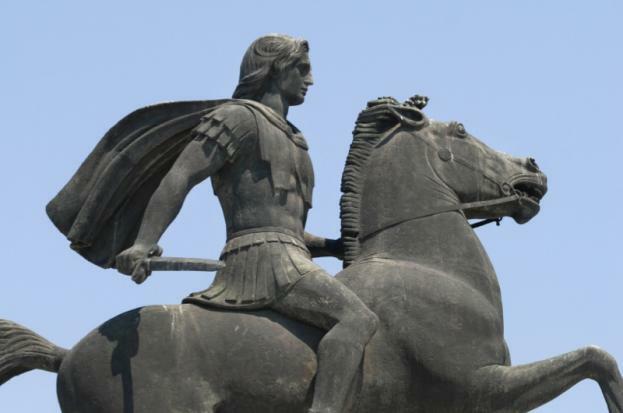 Magness, National Geographic reports, believes the Huqoq mosaic, which should be read from the bottom up, portrays Macedonian king Alexander the Great’s fourth-century B.C.E. conquests in the eastern Mediterranean. The top portion of the mosaic, Magness argues, shows Alexander the Great in a purple cloak meeting Jerusalem’s high priest, who is wearing a white tunic. While this meeting did not actually occur in history, the legend appears in the writings of ancient Jewish historian Josephus and in rabbinic literature.